-- BRAND NEW HOME ! -- JUST COMPLETED -- BUILT BY "CHOUINARD BUILDERS" A FAMILY-OWNED BUILDER, WHO HAS BUILT IN THE SEMINOLE AREA FOR OVER 40 YEARS! 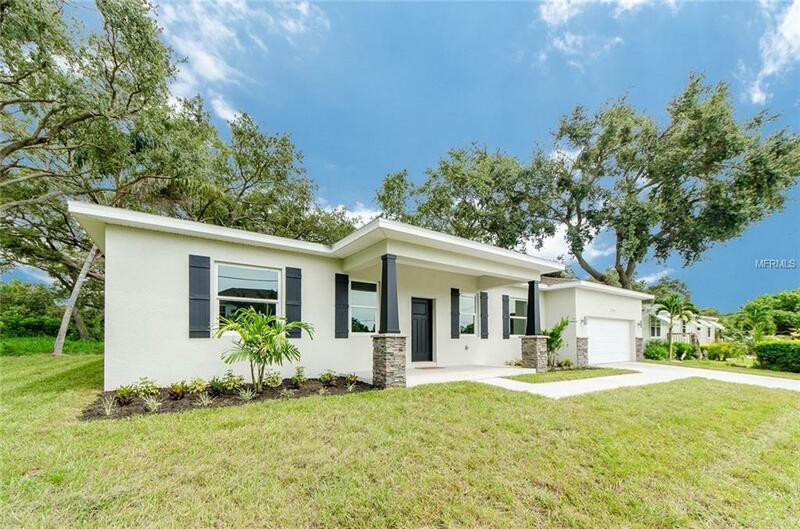 "BRAND NEW" CRAFTSMAN STYLE HOME, WITH GRANITE COUNTERS, SHAKER-TYPE CABINETS, TILE FLOORING THROUGHOUT THE HOME, EXCEPT FOR THE BEDROOMS, WHICH ARE CARPET. HURRICANE RATED WINDOWS AND DOORS AND ROOF MEETS ALL CURRENT STANDARDS AND MITIGATION REQUIREMENTS. ALSO - NOT A FLOOD ZONE LOCATED IN AN "X" ZONE. TAKE ADVANTAGE OF HAVING A NEW HOME WITH ALL NEW COMPONENTS AND WARRANTIES ! 3 BEDROOMS AND 2 FULL BATHROOMS WITH AN, ATTACHED, SIDE-BY-SIDE, TWO-CAR GARAGE. THERE ARE 10' CEILINGS THROUGHOUT AND THE "LOCATION" IS GREAT - CLOSE TO THE NEW SEMINOLE CITY CENTER, WALKING DISTANCE TO BOCA CIEGA MILLENNIUM PARK AS WELL AS THE SEMINOLE PARK/PINELLAS TRAIL AND ONLY A FEW MILES TO THE BEACH TOO!